The survey of 447 businesses of all sizes was conducted over the summer by systems integrator Champion Solutions Group. It found that 53% of those businesses haven't implemented a formal BYOD policy, while more than one-fourth confessed they have no systematic security approach, much less a formal policy. The survey findings are "ridiculous … surprising," said Champion CEO Chris Pyle, in an interview. 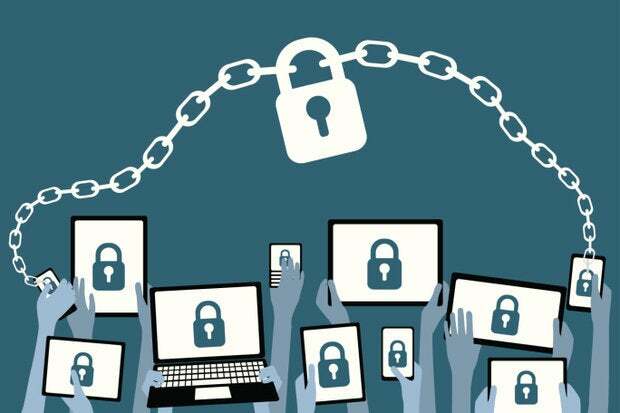 Mobile security best practices have been promulgated by analysts and security firms for more than a decade to protect sensitive corporate data, but there is apparently widespread variation about how companies implement security for BYOD workers. "The evidence is indisputable that a growing need exists for more stringent application of security policies and procedures in modern businesses," Champion wrote in an 18-page white paper describing the survey's findings. But Pyle said there can be a downside. "You need to have workplace freedom, but you need to have a framework as well," he said. In addition to the lack of formal BYOD policies, the survey found that only 21% of businesses are using multifactor authentication (MFA) to verify a user's identity when granting access to critical enterprise applications and data. MFA covers a wide category of techniques to require two or more methods of authentication from independent categories of credentials when a person logs in from a device. MFA techniques deployed by U.S. businesses rarely include biometric authentication, where a fingerprint or iris scan is used to support a user name and password to authenticate a user's access to corporate data, Pyle said. Sometimes, instead, a unique code, or token, is sent to a smartphone for each entry into a company's applications or other data. More often, companies rely on enterprise rights management software to grant a group of users — such as sales managers — access to a certain set of data from their phones — such as sales in a certain district. But that approach doesn't guarantee that every instance of access is from the authorized user. It could be from someone else who may have stolen a phone or used it temporarily, unbeknownst to the owner. "Right now, there's some confusion and trepidation in the market about MFA," said Jason Milgram, director of software development for Champion. "None of our customers are incorporating biometric authorization into their security plan, even though they will eventually. Many are focused on enterprise content rights management and all of them are working out their strategy. When we bring up the subject of biometrics, people know about it and ask us, 'Can you show us or tell us.' "
Champion has 2,300 business customers, primarily in health care, distribution and finance. It operates a business unit called MessageOps that helps companies deploy Microsoft Cloud Services, including Office 365, Enterprise Mobility and Azure services. Champion also works as a system integrator to help companies deploy other enterprise mobility management products such as VMware's AirWatch and IBM's Maas360. The low adoption of MFA for mobile security noted in the survey doesn't surprise Pyle. "There's a lot of good talk by companies about what's coming and what's going to be available, but people aren't implementing what's available today, let alone what's coming tomorrow," he said. As an example, the survey noted that 23% of companies don't lock out mobile access after a repeated number of sign-in failures. "That's a large percentage, too large," Milgram said. "Someone could launch a brute force attack if nothing is turned off." The survey also found that 30% of companies don't even require alphanumeric passwords (those using both the alphabet and numbers). "That's a pretty basic precaution," Pyle added.